Protection from abuse and torture is a human right; it must not be dependent on visa status. 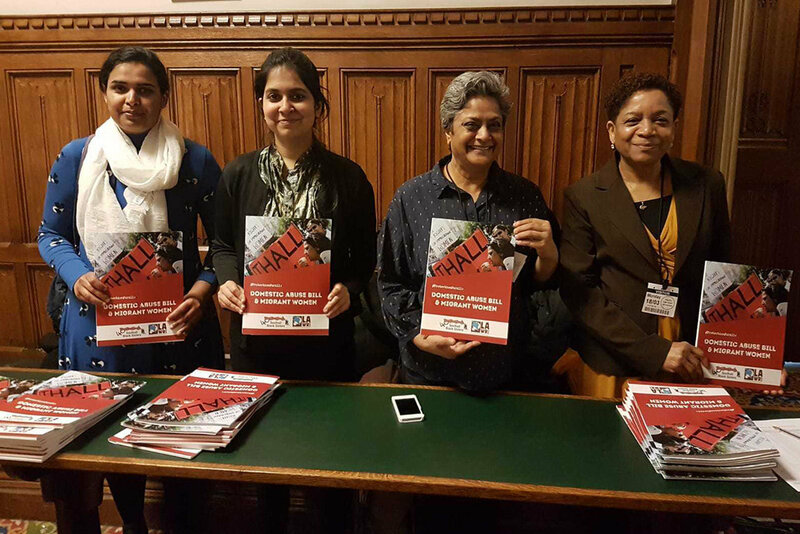 Southall Black Sisters and the Latin American Women’s Rights Service (LAWRS) jointly hosted a public meeting in the House of Commons recently to urgently discuss the failure of the Domestic Abuse Bill to properly include migrant women in state protective measures for abused women. What we have, campaigners say, is a draft Bill that utterly fails to deliver anything of substance, especially for migrant women. And only two pages out of the 196-page government response are devoted to migrant women. As things stand, abused migrant women who are at risk of the most serious and prolonged forms of abuse, slavery and harm cannot access justice or protection if they have unsettled immigration status. They are effectively excluded from the few protective measures that are contained in the Bill. This deeply disappointing Bill comes at a time when the government is seeking to ratify The Council of Europe Convention on Preventing and Combating Violence against Women and Domestic Violence 2011 – better known as ‘the Istanbul Convention’. Yet by excluding migrant women from the scope of protection, the government stands in breach of potential human rights violations contained in the Istanbul Convention and other domestic and international human rights standards. And there is a growing consensus that the exclusion of migrant women from any meaningful protection in the Bill is untenable. Please help to build momentum for the #ProtectionForAll campaign. A comprehensive strategy on violence against abused migrant women and girls so that it addresses all the barriers that prevent them from obtaining effective protection and justice. For more information on these amendments and why they are necessary please read this briefing paper. Please write to your MP and ask them to support these amendments during the passage of the Bill. Please do join Southall Black Sisters’ mailing list for updates on the #ProtectionForAll campaign and follow Southall Black Sisters and the Latin American Women’s Rights Service on social media and support them to ensure these amendments are adopted. Protection from abuse and torture is a human right; it cannot and must not be dependent on visa status. 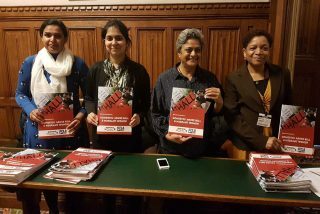 Southall Black Sisters’ briefing paper calls for a series of amendments to the Bill to ensure that abused migrant women have the same rights to safety and dignity as other abused women. Compel the government to put forward a comprehensive strategy to support and protect migrant women suffering abuse – regardless of migration/refugee status – before Parliament within a specified timeframe. Please show your support for these amendments and for the #ProtectionForAll campaign, to ensure that migrant women are included in the Domestic Abuse Bill.